Birth. August 18, 1458, Florence. Of a noble and ancient Florentine family. Son of Antonio Pucci and Piera Manetti. Brother of Cardinal Roberto Pucci (1542). Uncle of Cardinal Antonio Pucci (1531). Education. Obtained a doctorate in utroque iuris, both canon and civil law; he had a profound knowledge of canon law and theology (1). Early life. Professor of law at the University of Pisa. Canon of the chapter of the metropolitan cathedral of Florence. Abbreviatore of apostolic letters. Cleric of the Apostolic Chamber. Episcopate. Elected coadjutor bishop of Pistoia, with right of succession, February 15, 1509; succeeded on September 17, 1518; resigned in favor of his nephew Antonio, November 5, 1518. Datary of Pope Julius II and Leo X, 1511 to September 1513. Pope Julius II sent him to Florence to obtain assistance against France; he delivered an eloquent oration before the Florentine senate. Administrator of the see of Melfi, August 12, 1513; resigned in favor of his nephew Giovanni, March 16, 1528. He participated in the V Lateran Council in 1512; in its eleventh session, he read the schedole. Secretary of Pope Leo X, 1513. Cardinalate. Created cardinal priest in the consistory of September 23, 1513; received the red hat and the title of Ss. Quattro Coronati, September 29, 1513. Administrator of the see of Vannes, November 21, 1513 until 1514. Consecrated, December 13, 1513, in the Hall of the Signatura, at the Vatican, by Pope Leo X, assisted by two cardinal bishops. Protector of Poland, 1514. Administrator of the see of Amalfi, 1516 to 1519. Camerlengo of the Sacred College of Cardinals, January 8, 1518 to January 10, 1519. Administrator of the see of Montefiascone, March 23, 1519; resigned the post, April 13, 1519. Penitentiary major, September 28, 1520; replaced on October 1, 1529 by his nephew, future Cardinal Antonio Pucci. Participated in the conclave of 1521-1522, which elected Pope Adrian VI. Administrator of the see of Capaccio, September 10, 1522 until June 12, 1523. He was accused of misappropriation and peculation; he was reproached for having given opportunity to Martin Luther to carry on against the avarice of the court of Rome, and in particular against indulgences, of which he made a scandalous trade (2). This conduct made the cardinal odious and he had to give an account of his administration during the pontificate of Pope Adrian VI. Cardinal Giulio de' Medici diverted this blow with his credit and when he ascended the papacy under the name of Clement VIl, he restored Cardinal Pucci to his old position. Participated in the conclave of 1523, which elected Pope Clement VII. Opted for the order of bishops and the suburbicarian see of Albano, June 15, 1524. Opted for the suburbicarian see of Palestrina, July 24, 1524. He was a great mecenate of Raffaello Sanzio and Michelangelo Buonarroti. Death. September 16, 1531, Rome. Buried in the patriarchal Vatican basilica; later transferred to the church of S. Maria sopra Minerva, Rome and buried in its choir next to the mausoleum of Pope Leo X (3). His family erected a cenotaph in the chapel of S. Sebastiano in the church of Sanctissimæ Anuntiatæ in Florence (4). Bibliography. Berton, Charles. Dictionnaire des cardinaux, contenant des notions générales sur le cardinalat, la nomenclature complète ..., des cardinaux de tous less temps et de tous les pays ... les détails biographiques essentiels sur tous les cardinaux ... de longues études sur les cardinaux célèbre ... Paris : J.-P. Migne, 1857 ; Facsimile edition. Farnborough ; Gregg, 1969, col. 1427; Cardella, Lorenzo. Memorie storiche de' cardinali della Santa Romana Chiesa. Rome : Stamperia Pagliarini, 1793, IV, 1-2; Chacón, Alfonso. Vitæ, et res gestæ Pontificvm Romanorum et S. R. E. Cardinalivm ab initio nascentis Ecclesiæ vsque ad Vrbanvm VIII. Pont. Max. 2 volumes. Romae : Typis Vaticanis, 1630, II, col. 1406; Del Re, Niccolò. La Curia romana : lineamenti storico giuridici. 4th ed. aggiornata ed accresciuta. Città del Vaticano : Libreria Editrice Vaticana, 1998, p. 209; Eubel, Conradus and Gulik, Guglielmus van. Hierarchia Catholica Medii et Recentioris Aevi. Münich : Sumptibus et Typis Librariae Regensbergianae, 1935; reprint, Padua : Il Messagero di S. Antonio, 1960, III, 13, 55, 57, 62, 105, 152, 241, 248, 275 and 329; Storti, Nicola. La storia e il diritto della Dataria Apostolica dalle origini ai nostri giorni. Napoli : Athena Mediterranea Editrice, 1969, p. 166. Webgraphy. His portrait by Parmigianino, The National Gallery, London, England; and his epitaph, church of S. Maria sopra Minerva, Rome. (1) Storti, La storia e il diritto della Dataria Apostolica dalle origini ai nostri giorni, p. 166. (2) According to Berton, Dictionnaire des cardinaux, col. 1427, Paolo Giovio, Le vite di Leon decimo, et d'Adriano sesto sommi pontefici, et del cardinal Pompeo Colonna (Fiorenza : Appresso Lorenzo Torrentino, 1549), agrees that Cardinal Pucci misused the good nature of that pope by his flatteries and by his address to moderate the severity of the canons by convenient interpretations. (3) This the text of his epitaph taken from the photograph linked above: D. O. M. LAUR. PUCCIO. EPO. PRESB. CARD. SS. IIII. MAI. POENIT. SINGUL. PROBITATIS. AMABILITATIS. ET. IN. APOST. NEGOTIIS. EXP. QUI. VIX. AN. LXIII. MN. I. DIE. VIII. IUXTA. LEON. PP. X. UT. MANDAVERAT. SEPUL. ROBERTUS. PUCCIUS. CARD. SS. IIII. MAI. POENIT. FRAT. OPT. BENEMERENTI. F. C. OB. A. MDXXXI. (4) This is the text of the cenotaph taken from the addition of Ferdinando Ughelli, Cist., in Chacón, Vitæ, et res gestæ Pontificvm Romanorum et S. R. E. Cardinalivm, II, col. 1406: LAURENTIO. PVCCIO. ANTONII. F. EPISCOP. PRÆNESTIN. CARDINALIS. SANCTORVM. QVATTVOR. MAIOR. POENIT. APSTOLICORVM. BEGOCIORVM. EX. ACTA. COFNITIONE. CELEBERRIMO. A. LEONE. X. PONT. MAX. PVRPVRA. DECORATIO. ROBERTVS. PVCCIVS. PATRVO. MAGNO. AD. ILLIVS. IN. PATRIA. MEMORIAM. RETINENDAM. EREXIT. ANNO. SALVTIS. MDCVII. VIXIT. ANN. LXXIII. OBIIT. ROMÆ. XVI. KAL. OCTOBR. MDXXXI. ET. IN S. MARIÆ SVPRA. MINERVAM. SERVATVUR. Birth. May 26, 1478 at 2 p.m., Florence. Illegitimate son of Giuliano de' Medici and Fioretta Gorini; he was declared legitimate by Pope Leo X, his paternal cousin, in 1513. His father was killed on April 26, 1478 during the disturbances of the Pazzi conspiracy; he was born a month later. He was baptized on May 27, 1478 and received the names Giuilo Zenobio; his godfather was Antonio da Sangallo, who was charged by Lorenzo to take care of the newborn until the age of seven. Cousin of Cardinal Ippolito de' Medici (1529). Education. He was educated by his uncle, Lorenzo de' Medici, the Magnificent, together with his children. Together with his cousin Giovanni, future Pope Leo X, he studied under Bernardo Michelozzi and humanist Bishop Gentile Becchi of Arezzo. Studied canon law at the University of Pisa. Early life. Cleric of Florence. In 1488, his uncle obtained for him, from King Fernando I of Aragón and Pope Innocent VIII, the rich benefice of the priorate of Capua of the Order of Saint John of Jerusalem. He was part of the retinue that accompanied his cousin Giovanni to Rome for the latter's promotion to the cardinalate in March 1492. The following July, he accompanied his cousin to the conclave that elected Pope Alexander VI. After the French invasion of Florence in 1494, the Medici family was expelled from that city; Giulio sought refuge first in Bologna, where he arrived on November 10, 1494, and then in Pitigliano and Città Castello; later he went to Rome (1). In 1499, he left for Venice together with his cousin the cardinal, travelling incognito; then they went to Bavaria and finally to Ulm, where they were arrested and sent to Emperor Maximilian I; freed, they were guests of Archduke Philip in Flanders; they planned to go to England but in Rouen they were incarcerated; obtained their freedom through the intervention of Piero de' Medici, head of the family, who from Venice interceded for them. In 1500, they returned to Italy by sea, stopping in Marseille, Savona and Genoa. From 1508 to 1509, he worked to bring about the marriage of Filippo Strozzi with Clarice de' Medici, daughter of Piero, as a way to obtain the support of the Strozzi for restoring the Medicis in Florence; although the marriage took place, the tentative restoration did not succeed. On October 1, 1511, he left for Bologna together with Cardinal Giovanni, who had been named legate in that city and in Romagna. Giulio and the cardinal were with the Spanish and papal army in Ravenna when the French troops attacked and defeated that army in April 1512; the cardinal was captured but Giulio was able to avoid being taken and sought refuge in the rock of Cesena; he obtained a safe conduct from the French to visit the captive cardinal; the latter asked him to go to Rome and present to the pope the proposal of a truce offered by the French; he did so in the consistory of April 28, 1512; shortly after, the cardinal was able to escape when he was going to be taken to France. Giulio was sent by the pope on a mission to Milan, to the cardinals who were participating in the pro-French schismatic council at Pisa; the Florentines had taken the side of the schismatic Pisans and for this reason Pope Julius II supported the Medici. When the Soderini, who had been ruling Florence since the expulsion of the Medici, were defeated, the latter returned and gained control on September 14, 1512; Giulio had been very active in the conspiracy against the Soderini. Pope Julius II died on February 21, 1513, and on March 11, Giovanni de' Medici, then thirty-eight years old, was elected pope with the name Leo X. The election of his cousin was crucial in determining Giulio's ecclesiastical career because until that time, his inclination was for a profession in the military. He was present in the sixth session of the V Lateran Council held on April 27, 1513. Episcopate. Elected archbishop of Florence, May 9, 1513; he received a dispensation for being an illegitimate son (2). He was named member of the commission charged with establishing the order and matters of the conciliar work, May 14, 1513; within the commission, he worked in the section in charge of the reestablishment of peace and the removal of the schism. Cardinalate. Created cardinal deacon in the consistory of September 23, 1513; received the red hat and the deaconry of S. Maria in Domnica, September 29, 1513. A few days after his promotion to the cardinalate, he wrote to King Henry VIII of England offering him his services; shortly after, he was named protector of England. Named bishop of Alby, November 21, 1513; resigned in 1515 without having taken possession. Sacred orders. Received the minor orders on December 6, 1513; and the diaconate on December 17, 1513. Legate in Bologna, September 1, 1514. Named archbishop of Narbonne, February 14, 1515; occupied the see until his election to the papacy. Named legate to the papal army in the league against France, July 1515. He convoked a provincial council of Florence on November 15, 1515; after the triumph of the league, he accompanied the pope to Florence on November 30; he welcomed King François I of France to the Papal States and accompanied him to Bologna for the meeting with the pope on December 15, 1515; he returned to Rome on February 1516. Protector of France, summer of 1516; the following year, King François I of France tried unsuccessfully to have the cardinal resign his protectorship of England. Vice-chancellor of the Holy Roman Church, March 9, 1517 until his election to the papacy. As vice-chancellor, he was in great part responsible for the pope's policies including his actions against Martin Luther and his Protestant Reform; and the imperial succession. Opted for the order of cardinal priests and the title of S. Clemente, June 26, 1517. Opted for the title of S. Lorenzo in Damaso, July 6, 1517. Member of the commission of cardinals established by the pope to for the matter of the crusade, November 4, 1517. Administrator of the see of Albenga, November 19, 1517 until May 5, 1518; he reserved the right to return to the government of the diocese. Abbot commendatario of Chiaravalle, 1517. Priesthood. Ordained, December 19, 1517. Abbot commendatario of Ss. Vincenzo ed Anastasio delle Tre Fontane, December 1517. Received the episcopal consecration on December 21, 1517, at the Vatican, in camera superiore, from Pope Leo X; in the same ceremony was consecrated Cardinal Ferdinando Ponzetti, bishop of Molfetta. Named bishop of Bologna, January 8, 1518, retaining the see of Florence and Narbonne; resigned, March 3, 1518. Administrator of the metropolitan see of Embrun, July 5 to 30, 1518. Administrator of the see of Ascoli-Pisceno, July 30, 1518 to September 3, 1518. Camerlengo of the Sacred College of Cardinals, January 10, 1519 to January 11, 1520. Legate for all Tuscany, May 27, 1519. Abbot commendatario of Saint-Martin de Tournai, August 17, 1519. Governor of Florence from 1519. After the death of Lorenzo de' Medici, son of Piero, the Florentine affairs were directed by Giulio, who was closely advised by Niccolo Macchiavelli; the latter wrote Discorso sopra il reformare lo Stato di Firenze, 1519-1520; and dedicated to the cardinal a historical work on Florence. Named bishop of Eger, September 12, 1520; resigned, June 18, 1523. Administrator of the see of Worcester, June 7, 1521 to September 26, 1522. Arranged an alliance between Pope Leo X and Emperor Charles V in 1521. Participated in the conclave of 1521-1522, which elected Pope Adrian VI. During the pontificate of Pope Adrian VI, he contributed to the defensive alliance between the Holy See and the Empire. Participated in the conclave of 1523 and was elected pope. Papacy. Elected pope on Thursday November 19, 1523. Took the name Clement VII. Crowned, Thursday November 26, 1523, in the patriarchal Vatican basilica, by Cardinal Marco Cornaro, protodeacon of S. Maria in Via Lata. During his pontificate, Rome was sacked by the imperial troops on May 6, 1527; during the assault, the Swiss Guard was decimated; he took refuge in Castello Sant'Angelo but had to surrrender and was a prisoner of the imperial troops for six months. After his release on December 6, 1527, he lived in Orvieto until October 1528 and then, he went to Viterbo. In June 1529, the pope and the emperor agreed on common action against the Lutheran heresy in Germany and against the Turks, who were advancing towards Vienna. He crowned Emperor Charles V at the metropolitan cathedral of S. Petronio in Bologna on February 24, 1530; this was the last imperial coronation by a pope. Created thirty three cardinals in fourteen consistories. Death. September 25, 1534, Rome. Buried in the patriarchal Vatican basilica, Rome; transferred to the church of S. Maria sopra Minerva, Rome on June 6, 1542. Bibliography. Cardella, Lorenzo. Memorie storiche de' cardinali della Santa Romana Chiesa. Rome : Stamperia Pagliarini, 1793, IV, 2-5; Cárdenas, y Vicent, Vicente de. El Saco de Roma de 1527 por el ejército de Carlos V. Madrid : Instituto Salazar y Castro, 1527; Chacón, Alfonso. Vitæ, et res gestæ Pontificvm Romanorum et S. R. E. Cardinalivm ab initio nascentis Ecclesiæ vsque ad Vrbanvm VIII. Pont. Max. 2 volumes. Romae : Typis Vaticanis, 1630, II, col. 1407; Chamberlin, Eric Russell. The bad Popes. Stroud, Gloucestershire : Sutton, 2003. (Sutton history classics); Chastel, André; Vázquez de Parga, Consuelo. El saco de Roma, 1527. Cantoblanco (Madrid) : Espasa Calpe, 1998; Crabitès, Pierre. Clement VII and Henry VIII. London : G. Routledge, 1936; Ehses, Stefan. "Die politik des Papstes Clemens VII bis zur Schlacht von Pavia." Historisches Jahrbuch, VI (1885), 557-603; Eubel, Conradus and Gulik, Guglielmus van. Hierarchia Catholica Medii et Recentioris Aevi, Münich : Sumptibus et Typis Librariae Regensbergianae, 1935; reprint, Padua : Il Messagero di S. Antonio, 1960, III, 14, 62, 64, 74, 84, 98, 100, 101, 119, 136, 190, 197, 253, 334; Kelly, John Norman Davidson, The Oxford Dictionary of Popes. Oxford ; New York : Oxford University Press, 1986, pp. 259-261; Prosperi, Adriano. "Clemente VII." Enciclopedia dei papi. 3 vols. Roma : Istituto della Enciclopedia italiana, 2000, III, 70-91; Reinhardt, Volker. Blutiger Karneval : der Sacco di Roma 1527 - eine politische Katastrophe. Darmstadt : Wiss. Buchges., 2009; Reiss, Sheryl E. Cardinal Giulio de' Medici as a patron of art. Thesis (Ph. D.)--Princeton University, 1992; Reiss, Sheryl E. "'Per havere tutte le opere ... da Monsignor Reverendisimo' : Artists seeking the favor of Cardinal Giulio de' Medici'" in The possessions of a Cardinal : politics, piety, and art, 1450-1700. Edited by Mary Hollingsworth & Carol M. Richardson. University Park, Pa. : Pennsylvania State University Press, 2010, p. 113-131; Rodocanachi, Emmanuel. Histoire de Rome. Les pontificats d'Adrien VI et de Clément VII. Paris : Hachette, 1933; Vaughan, Herbert M. The Medici Popes (Leo X. and Clement VII.). London : Methuen, 1908. Webgraphy. Biography, in English; his portrait, arms and biographical data, in English; his episcopal lineage, in English; his astrological chart; his portrait by Sebastiano del Piombo, J. Paul Getty Museum, Los Angeles, California, United States of America; another portrait by Sebastiano del Piombo, Museo Nazionale di Capodimonte, Naples, Italy; antoher portrait also by Sebastiano del Piombo; portrait by Cristofano dell'Altissimo; drawing by Michelangelo Buonarroti; drawing by Sebastiano del Piombo, Museée du Louvre, Paris, France; engraving by Friedrich Hulsen, Germanisches Nationalmuseum, Nürnberg, Germany; engraving by C. Piotti Pirola, based on a painting by Vasari; engraving by an anonymous artist; another engraving; another engraving by Hopfer; his effigy on a medal commemorating his imprisonment in Castello Sant'Angelo, Rome; his effigy on a medal by Benvenuto Cellini; his effigy on another commemorative medal; his effigy on several medals; several medals with his effigy; his portrait in enamel by Jean II Penicaud, Maître de l'Enéide, Musée du Louvre, Paris, France; two Vatican City stamps with his image and arms; his tomb by Giovanni Lippi, called Nanni di Baccio Bigio; Bartolomeo Bandinelli, called Baccio Bandinelli; and Antonio da Sangallo il Giovane, church of S. Maria sopra Minerva, Rome; several views of his tomb, church of S. Maria sopra Minerva, Rome. (1) According to Prosperi, "Clemente VII", Enciclopedia dei papai, III, 70, little is known of his life in that city near his cousin Cardinal Giovanni; from a letter of Bernardo Dovizi, he had a relationship with a courtesan and mentioned a natural son, identified as Alessandro de' Medici, future duke of Florence; the source adds that this data is uncertain. (2) According to Prosperi, "Clemente VII", Enciclopedia dei papai, III, 71, when he was promoted to the cardinalate, an oral process took place in which, by the testimony of a maternal uncle and of some religious, it was accepted that Giuliano, the father, had admitted secretly that he was going to marry the mother. Birth. August 2, 1470 (1), Bibbiena (2), archdiocese of Florence. Of an obscure family. His last name is also listed as Divizj. He was called "il Bibbiena". He is also listed as Bernardo Tarlato. Early life. In his youth, he entered the service of Cardinal Giovanni de' Medici, travelled with him throught Europe and settled in the courts of Urbino and Roma. He participated in the wars against Urbino as legate of the papal army. Pope Leo X, shortly after elevation to the pontificate, named him protonotary apostolic and treasurer general. Cardinalate. Created cardinal deacon in the consistory of September 23, 1513; received the red hat and the deaconry of S. Maria in Portico Octaviae, September 29, 1513. Participated in the ninth to twelfth sessions of the Fifth Lateran Council. Prior commendatario of S. Maria Maddalena di Crema, diocese of Piacenza, September 12, 1514. Administrator of the see of Pozzuoli, 1514 (3). Prefect of the Fabric of the patriarchal Vatican basilica, 1515. As a close and trusted collaborator of the pontiff, he was in charge of all the papal correspondence; the pope used to call him jokingly the "alter papa". Legate in France, 1515 to 1518. Abbot commendatario of Aulps from 1516. Legatea latere and president of the papal army against the invasion of the States of the Church by Francesco Maria Della Rovere; and for the peace among the Christian princes, April 1, 1517. Legate in Umbria. Administrator of the see of Coria, November 4, 1517. Administrator of the see of Coutances, September 9, 1519 until his death. Named legate to France again, January 9, 1520; his mission was to secure French participation in the expedition against the Turks; died in Rome shortly after returning from his legation. He was a friend and protector of Raffaello Sanzio. He wrote the Calandria, a comedy that made him famous in all of Europe (4). Death. November 9, 1520 (5), Rome, under suspicion of having being poisoned (6). Buried in the church of S. Maria in Aracoeli, Rome (7). The funeral oration was delivered by Latinus Iuvenalis, canon of the patriarchal Vatican basilica. Bibliography. Bandini, Angelo Maria. Il Bibbiena, o sia il ministro di stato delineato nella vita del Cardinale B. Dovizi da Bibbiena. Livorno, 1758; Cardella, Lorenzo. Memorie storiche de' cardinali della Santa Romana Chiesa. Rome : Stamperia Pagliarini, 1793, IV, 5-7; Chacón, Alfonso. Vitæ, et res gestæ Pontificvm Romanorum et S. R. E. Cardinalivm ab initio nascentis Ecclesiæ vsque ad Vrbanvm VIII. Pont. Max. 2 volumes. Romae : Typis Vaticanis, 1630, II, cols. 1407 and 1444-1445; Eubel, Conradus and Gulik, Guglielmus van. Hierarchia Catholica Medii et Recentioris Aevi. Münich : Sumptibus et Typis Librariae Regensbergianae, 1935; reprint, Padua : Il Messagero di S. Antonio, 1960, III, 14, 75, 160 and 176; Dovizi, Bernardo, da Bibbiena. La calandra : commedia elegantissima per messer Bernardo Dovizi da Bibbiena. Testo critico annotato a cura di Giorgio Padoan. Padova : Antenore, 1985. (Medioevo e umanesimo, 57); Dovizi, Bernardo, da Bibbiena. La Calandria. A cura di Paolo Fossati. Torino : G. Einaudi, 1982, 1967. 4th ed. (Collezione di teatro, 114); Dovizi, Bernardo, da Bibbiena. La Calandria; commedia. Milano : G. Daelli, 1863. (Biblioteca rara, vol. XIV). Together with Un' avventura amorosa di Ferdinando d'Aragona duca di Calabria, narrata da esso Bibbiena a Pier de' Medici; Dovizi, Bernardo, da Bibbiena. Epistolario di Bernardo Dovizi da Bibbiena. 2 vols. A cura di Giuseppe Lorenzo Moncallero. Firenze : Leo S. Olschki, 1955-1965. (Biblioteca dell' "Archivum romanicum;" Serie I: Storia - Letteratura - paleografia, vol. 44, 81; Biblioteca dell' "Archivum romanicum" ; ser. 1, v. 44, 81); Fanelli, Carlo. La Calandria : tematiche e simbologia : [il panorama teatrale del Cinquecento e La Calandria di Bernardo Dovizi da Bibbiena. Firenze : Atheneum, 1997. (Oxenford. Universale Atheneum, 80; Universale Atheneum, 80); Fatini, Giuseppi. Il cardinal Bibbiena : conferenza tenuta nel Teatro comunale di Bibbiena il 2 settembre 1956. Firenze : Società dantesca casentinese "Pro cultura", 1957; Gaüzes, Anne ; Dovizi, Bernardo, da Bibbiena ; Vacchi, Dante. Raffaello : la stufetta del Cardinale Bibbiena. Milano : Bruno Contarini Editore, 1976; Moncallero, Giuseppe Lorenzo. Il cardinale Bernardo Dovizi da Bibbiena : umanista e diplomatico (1470-1520) ; uomini e avvenimenti del Rinascimento alla luce di documenti inediti. Firenze : Olschki, 1953. (Biblioteca dell'"Archivum Romanicum, Serie 1; Storia, letteratura, paleografia, v. 35); Pediconi, Angelica. "Cardinal Bernardo Dovizi da Bibbiena (1470-1520) : a Palatine cardinal" in The possessions of a Cardinal : politics, piety, and art, 1450-1700. Edited by Mary Hollingsworth & Carol M. Richardson. University Park, Pa. : Pennsylvania State University Press, 2010, p. 92-112; Ruffini, Franco. Commedia e festa nel Rinascimento : la "Calandria" alla corte di Urbino. Bologna : Il Mulino, 1986. (Saggi, 307); Santelli, Arnolfo. Il cardinal Bibbiena (1470-1520). Bologna : L. Cappelli, 1931. (I Grandi cardinali italiani nella vita e nella storia, 7. Webgraphy. Biography by Edoardo San Giovanni, in English, The Catholic Encyclopedia; biography by Lelia Burroni, in Italian, Massimiliano Badiali; portrait by Raffaello Sanzio, Galleria Pitti, Florence, Italy, CGFA; The Betrothal of Raphael and the Niece of Cardinal Bibbiena by Jean-Auguste-Dominique Ingres, The Walters Art Museum, Baltimore, Maryland, United States of America. (1) This is according to Chacón, Vitæ, et res gestæ Pontificvm Romanorum et S. R. E. Cardinalivm, II, col. 1444; his biography in English, linked above, says that he was born on August 4, 1470; his biographies in Italian, also listed above, say that he was born on September 4, 1470. (2) This is according to his biography in English, linked above; his biographies in Italian, also linked above, say that Recentemente approfondita e seria ricerca compiuta dal giornalista e studioso aretino padre Ugolino Vagnuzzi, del Convento dei frati francescani di Saione, ha permesso di stabilire che il luogo natale di B. Dovizi non fu Bibbiena, ma un piccolo paese situato nei monti tra Bibbiena e Pieve S. Stefano. Si dovrebbe chiamare Cardinal Bernardo Dovizi, non piy detto il Bibbiena" ma "da Montalone" (Recently a profound and serious search completed by the journalist and scholar Aretino Father Ugolino Vagnuzzi, of the convent of the Franciscan friars of Saione, has been able to establish that the birth place of B. Dovizi was not Bibbiena, but a small place situated in mounts between Bibbiena and Pieve S. Stefano. Cardinal Bernardo Dovizi would have to be called not "il Bibbiena" but "from Montalone." (3) This is according to Cardella, Memorie storiche de' cardinali della Santa Romana Chiesa, IV, 6; and Chacón, Vitæ, et res gestæ Pontificvm Romanorum et S. R. E. Cardinalivm, II, col. 1445; neither Eubel, Hierarchia Catholica Medii et Recentioris Aevi, III, 280; nor Pius Bonifatius Gams, Series episcoporum Ecclesiae catholicae (Graz : Akademische Druck- u. Verlagsanstalt, 1957), p. 915, mentioned him among the occupants of this see. (4) The comedy was presented with great success in the court of Urbino in 1513; in 1518 in Rome before Pope Leo X and Isabella Gonzaga d'Este, marchioness of Mantua; and in 1548 before King Henri II of France and Queen Caterina de' Medici; Baldesar Castiglmone, author of Il Cortegiano, wrote the prolog of the comedy. (5) This is according to the addition of Andrea Vittorelli in Chacón, Vitæ, et res gestæ Pontificvm Romanorum et S. R. E. Cardinalivm, II, col. 1407; his biography in English, linked above; and Eubel, Hierarchia Catholica Medii et Recentioris Aevi, III, 75 and 176; the same source, III, 14, says that he died on November 1, 1520; his biographies in Italian, also linked above, indicate that he died on November 11, 1520. (6) This is according to Cardella, Memorie storiche de' cardinali della Santa Romana Chiesa, IV, 7; and Chacón, Vitæ, et res gestæ Pontificvm Romanorum et S. R. E. Cardinalivm, II, col. 1407; his biography in English, indicates that this is baseless. (7) This is the text of his epitaph taken from Chacón, Vitæ, et res gestæ Pontificvm Romanorum et S. R. E. Cardinalivm, II, col. 1407: BERNARDO. DIVITIO. CARDINALI. VIRO. PLVRIMIS. MAXIMISQ. VIRTVTIBVS. AC. LEONIS. X. PONTIFICIS. MAXIMI. VETERI. FAMILIARITATE. ET. BENEVOLENTIA. INSIGNI. AMPLISSIMIS. MVNERIBVS. ET. LEGATIONIBVS. PROBE. FVNCTO. FRATRVM. FILII. MOESTISSIMI. PATRVO. B. M. QVI. EIS. CVNCTA. PATER.NA. BENEFICIA. PRÆSTITIT. ARCAM. SEPVLCRALEM. DVM. QVO. IVSSIT. INFERATVR. POSVERE. Birth.August 25, 1491, Genoa. Eldest son of Francesco Cibo, illegitimate son of Giovanni Battista Cibo, future Pope Innocent VIII; and Maddalena de' Medici, daughter of Lorenzo de' Medici. Nephew of Pope Leo X. His last name is also listed as Cybo and Cibò. Other cardinals of the family were Lorenzo Cibo de' Mari (1489); Alderano Cibo (1645); and Camillo Cibo (1729). Education. "... bene introdotto nello studio delle lettere..." (1). (No further educational education found). Early life. Protonotary apostolic. 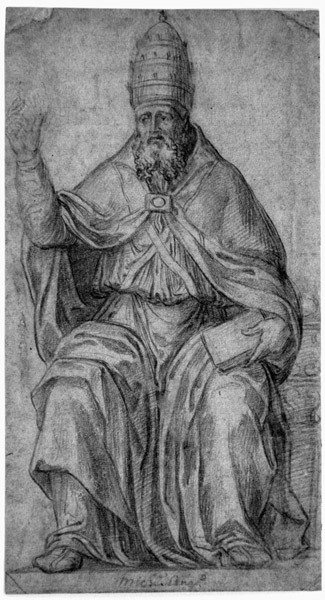 Abbot commendatario of San Paolo d'Arno of Pisa, 1505. Cardinalate. Created cardinal deacon in the consistory of September 23, 1513; received the red hat and the deaconry of Ss. Cosma e Damiano, September 29, 1513; the pope gave the new cardinal the same red hat that he had received from Pope Innocent VIII when he was created cardinal in 1489. Episcopate. Administrator of the metropolitan see of Saint Andrews and Edinburgh, October 13, 1513 to November 13, 1514. Administrator of the see of Marseille, May 11, 1517; resigned in favor of his brother Giovanni Battista Cybo, January 12, 1530. Opted for the deaconry of S. Maria in Domnica, June 26, 1517. Administrator of the see of Aleria, June 19, 1518 to December 19, 1520. Administrator of the see of Ventimiglia, July 27 to August 8, 1519. Elected archbishop of Genoa, May 11, 1520. Consecrated (no information found). Administrator of the metropolitan see of Turin, May 1516 to May 11, 1517; again, July 4, 1520 to June 22, 1548. 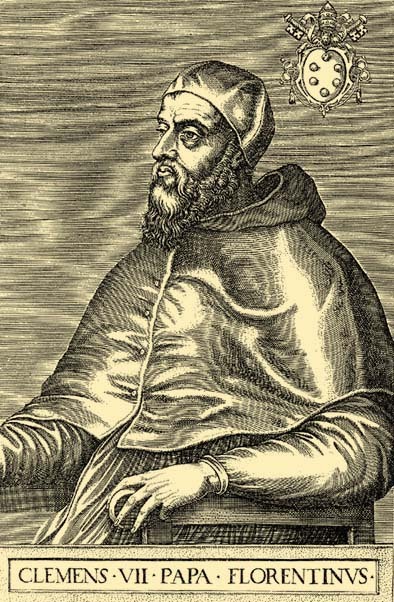 Abbot commendatario of San Saba of Rome 1520. Abbot commendatario of San Siro of Genoa, 1520 to 1529. Camerlengo of the Holy Roman Church, July 14 to September 13, 1521. Participated in the conclave of 1521-1522, which elected Pope Adrian VI. Abbot commendatario of Saint-Victor of Marseille 1522. Abbot comendatario of Saint-Ouen, Rouen. Participated in the conclave of 1523, which elected Pope Clement VII. Papal legate in Bologna, January 11, 1524. Administrator of the see of Volturara, October 10, 1526 to November 21, 1526. Participated in the coronation of Holy Roman Emperor Charles V on February 24, 1530, at the metropolitan cathedral of S. Petronio, Bologna. Administrator of the see of Mariana and Accia, March 20, 1531 to December 1, 1531. Governor and regent of Florence during the absence of Duke Alessandro, November 22, 1532 to March 1533. Participated in the conclave of 1534, which elected Pope Paul III. Administrator of the see of Béziers, November 3, 1536. Regent of Florence again, after the assassination of Duke Alexander, 1537. Administrator of the see of Tropea, February 6 to June 14, 1538. Administrator of the metropolitan see of Messina, June 14, 1538 until his death. Protector of Germany, 1542. Regent of Massa and Carrara, March 20 to June 27, 1547. Participated in the conclave of 1549-1550, which elected Pope Julius III. He crowned Pope Julius III on February 22, 1550. Opted for the deaconry of S. Maria in Via Lata, February 28, 1550. Cardinal protodeacon. Legate in Parma and in Picenza. He was a friend of both Holy Roman Emperor Charles V and King François I of France. He had four natural children, whom he later legitimized: Elena, Clemente, Ricciarda and Alessandro. Death. April 14 (2), 1550, Rome. Buried in the middle of the choir of the church of S. Maria sopra Minerva, Rome (3). Webgraphy. Biographical data, in Italian; biography, in Italian; his seal by Benvenuto Cellini, Musée du Louvre, Della Torre, Paris, France; his portrait with Pope Leo X and Cardinal Giuliano de' Medici (future Pope Clement VII copy by Giuliano Bugiardini of the portrait by Raffaello Sanzio; his tomb in the church of S. Maria sopra Minerva, Rome; his epitaph in the church of S. Maria sopra Minerva, Rome; and his family's arms. (1) Cardella, Memorie storiche de' cardinali della Santa Romana Chiesa, IV, 8. (2) This is according to Eubel, Hierarchia Catholica Medii et Recentioris Aevi, III, 14; his epitaph, in note 3, says that he died on IDIBVS. APRILIS that was always on April 13. (3) This is the text of his epitaph taken from the addition of Ferdinando Ughelli, Cist., to Chacón, Alfonso. Vitæ, et res gestæ Pontificvm Romanorum et S. R. E. Cardinalivm, II, col. 1445: D. O. M. INNOCENTIO. CYBO. IANVEN. DIAC. CARD. BONIFACII. IX. TOMACELLI. PONT. MAX. AGNATO. INNOCENTII. VIII. PONT. MAX. NEPOTI. LEONIS X. PONT. MAX. SORORIS. GERMANÆ. FILIO. CLEMENTIS. VII. PONT. MAX. SORORIS. PATRVELIS. FILIO. VIXIT. ANNOS. LVIII. MENSIS. VII. DIES. XIX. CARD. XXXVII. FVIT. DECESSIT. IDIBVS. APRILIS. ANN. MDL. SVI. POSVERE. VIVITE. VT. MORITVRI. Birth. 1479, Venice. Of an old and well established patrician family. His baptismal name was Vincenzo. His last name is also listed as Querini. Education. Studied at the University of Padua, Padua, from 1492; acquired a comprehensive humanistic formation. During a journey to Rome, Pope Alexander VI granted him the doctorate after a public disputation on April 27, 1502. Early life. Venetian senator. He conducted important diplomatic missions on behalf of the Republic of Venice, including in 1505-1506 at the court of Philippe le Beau of Burgundy, and in 1507 in Augsburg opposite to Emperor Maximilian I. In view of the political and intellectual crisis of the Venetian patriciate, around 1500 he had made early resolution, which had to mature, to exchange the activity of the statesman for a life of religious practice and devotion. A few years later, he followed a circle of young Venetian nobles who met around his former University of Padua student friends Paolo Giustiniani and Gasparo Contarini; they met in the mansion of Giustiniani in Murano and studied the Bible, the Church Fathers, Platonic texts as well as religious practices to achieve the internal light of faith they wanted to achieve. In 1511, Giustiniani entered the Order of Saint Benedict Camaldolesi (Benedictines); and on February 22, 1512, Querini followed in Einsiedelei; and took the name Pietro. From then on, he dedicated himself primarily to matters related to the urgent reform of the church. In Easter 1513, in the order's chapter celebrated in Florence, Qurini and Giustiniani worked for the deposition of Pietro Dolfin, superior general, who was charged with the secularization of the monks. Still in the same year, they submitted to Pope Leo X the Libellus ad Leonem X a plan for the reform of the church, presented at the V Lateran Council. Therein they suggested extensive measures for the renewal and reform of the life of the church life, among other things, a better training and a moral selection of the priesthood, regular lecture activity, the translation of the Bible into the people's languages as well as a standardization of the nature of the orders. All these measures should be implemented and supervised by a morally upright papacy as the legitimate head of Christianity. In addition, the two authors discussed the union with Orthodox Christians and an energized missionary activity in the recently discovered Americas. Unfortunately, in the council these suggestions found no urgency. The reforms did not take place until the Council of Trent but they made Quirini one of the central figures of the Catholic reform movement of the 16th century. Cardinalate. Created cardinal but never published (1). Death. September 23, 1514, Rome. Buried (no information found). Bibliography. Cardella, Lorenzo. Memorie storiche de' cardinali della Santa Romana Chiesa. Rome : Stamperia Pagliarini, 1793, IV, 78; Chacón, Alfonso. Vitæ, et res gestæ Pontificvm Romanorum et S. R. E. Cardinalivm ab initio nascentis Ecclesiæ vsque ad Vrbanvm VIII. Pont. Max. 2 volumes. Romae : Typis Vaticanis, 1630, II, col. 1441; Eubel, Conradus and Gulik, Guglielmus van. Hierarchia Catholica Medii et Recentioris Aevi. Münich : Sumptibus et Typis Librariae Regensbergianae, 1935; reprint, Padua : Il Messagero di S. Antonio, 1960, III, 18. (1) This is according to Eubel, Hierarchia Catholica Medii et Recentoris Aevi, III, p. 18; Cardella, Memorie storiche de' Cardinali dellla Santa Romana Chiesa, IV, 78; Chacón, Vitæ, et res gestæ Pontificvm Romanorum et S. R. E. Cardinalivm, ii, 1441; and his biography in German, linked above.